As the Generals go marching along G-E-N-E-R-A-L-S, Generals! 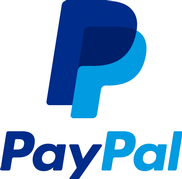 Send your check in to the PO Box or you may pay online. Jim devoted his life to his farm, family, support for local youth and the advancement of state agriculture. From opening his farm and for many years sharing it with the local 4-H Sheep Club to giving countless hours to 4-H programs, Jim has been a strong advocate for youth leadership and state agricultural programs. He has served on the 4-H Council, assisted with lamb and horse shows as well as tractor contests, served on state and county extension councils and worked with state legislators on behalf of the college. Jim worked tirelessly to help raise funds for the Kentucky 4-H Leadership Center. Through his affiliation with the Lexington Lion’s Club, Jim was a key leader in reviving the role of agriculture at the Bluegrass Fair. He also provided leadership and financial support for the construction of the Ag Pavilion at the Masterson Station Park which hosts many agricultural events throughout the year. Through Jim’s perseverance and dedication he took the idea of a high school devoted to agriculture and related careers and made it a reality which resulted in the Fayette County Locust Trace AgriScience Farm and School which opened in 2011. At Locust Trace, students have the opportunity to learn about all aspects of agriculture, equine studies and veterinary science. Jim serves on the Kentucky Agricultural Development Board. He has been appointed and then reappointed to the Board by two governors. Jim has been recognized for his contributions by numerous organizations: he received the Gamma Sigma Delta Alumnus award; was inducted into the UK Animal Science Hall of Fame; received the Thomas Poe Cooper Distinguished Leadership Award and the first Distinguished Service Award from the National Agriculture Alumni and Development Fund. In addition, he received the Distinguished and Dedicated Service of Kentucky Farm Bureau award, and he received the Outstanding Thoroughbred Farm Manager Award from the Kentucky Thoroughbred Farm Manager’s Club. Jim has served on Cooperative Extension Boards and Councils and county and state Farm Bureau Councils where he was President of the Fayette County Farm Bureau from 1979-1980. Jim is a member of the UK Ag & HES Alumni Association where he was the 1987 President. He is a member of the Lions Club and Scovell Society as well as a UK Fellow. The Office of Philanthropy and Alumni inducted Jim into the Hall of Distinguished Alumni in 2013. Jim graduated from Lafayette in 1958. 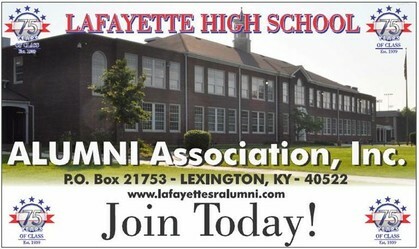 During his Lafayette years he was a member of both the marching band and the concert band. Also, he was a member of the French Club, Math & Science Club and Student Council. Jim earned a BA in Political Science from the University of Kentucky in 1963, and earned his Juris Doctor degree from the University of Kentucky College of Law in 1966. After receiving his law degree in 1966, Jim moved to Eastern Kentucky where he established his civil trial practice. His practice grew to include most counties east of Lexington. His specialty was malpractice defense. Jim was involved in malpractice law and other legal activities on the local and state level leading to membership on the Board of Directors of Kentucky Defense Counsel, Inc., membership in Pike County and Fayette County Bar Associations as well as the Federal Bar Association. Jim was admitted to practice before the US Supreme Court in 1975. He was appointed United States Magistrate Judge for the Eastern District of Kentucky, sitting in Lexington in 1994. Jim retired from judgeship in 2010. Anna Sommer is the 2018 scholarship recipient and a freshman at UK next fall. Anna far exceeded GPA and ACT requirements to qualify for the Alumni Association scholarship. She is a graduating senior at Lafayette and plans to major in Music Education at the University of Kentucky this fall. She is a member of the National Honor Society, Mu Alpha Theta, Beta Club, French Honor Society, Tri-M Music Honor Society, Section Leader for the Lafayette Marching Band, and Lafayette Student Council President. Anna is the daughter of Edward and Erin Sommer. She will join her two siblings in college this fall and she said she has wanted to be a teacher since she was three years old. When told she had been selected as the Alumni Association scholarship recipient for 2018, she said she so very much appreciates the Alumni Association helping her to achieve her dream. If you would like to volunteer to help, send an email through the website.